A recent study finds a strong association between low birth weight and racial and ethnic segregation in four U.S. cities — Chicago, Baltimore, Boston and Philadelphia. African-American babies are faring the worst, find researchers from the Center for Community Health Equity, a collaboration of DePaul University and Rush University Medical Center in Chicago. In comparison, they find Toronto has broken the link between minority segregation and low birth weight. “The United States has a very poor record with infant health outcomes, and new research is also demonstrating adverse experiences for African-American mothers, with an alarming rise in the number of women dying within a year of giving birth. By looking at community-level patterns associated with racial and ethnic segregation, studies like ours shift the focus from ‘what’s wrong with these women, what’s wrong with these families’ to a more structural analysis, one that pinpoints the root cause of health inequities in our political, economic and social arrangements,” said Fernando De Maio, co-director of the center and an associate professor of sociology at DePaul. Low birth weight is considered a strong metric for understanding population health, said De Maio. This study builds on the center’s previous work comparing low birth weight rates in Toronto and Chicago. In that work, hyper-segregated neighborhoods in Chicago fared much worse than the less segregated neighborhoods of Toronto. Researchers, including Dr. David Ansell, senior vice president for community health equity at Rush University Medical Center, and a co-author of the study, expanded their analysis to see if this was a problem across other U.S. cities. While Toronto has broken the link between segregation and low birth weight, all four U.S. cities had strong associations between segregation and low birth weight. Overall, the U.S. cities have a greater level of racial and ethnic segregation than Toronto. One community in Chicago and another in Baltimore have a low birth weight prevalence of almost 20 percent. Communities with highly segregated African-American populations fared the worst, while many segregated Latino communities “did fine,” said De Maio. This points to the need for more research about what allows some communities to thrive while others suffer, De Maio explained. “The meaning of being a minority differs from city to city and community to community,” write the researchers. However, the association between racial and ethnic segregation with low birth weight prevalence is remarkably consistent across the U.S. cities in the analysis. “We believe that the association arises from exposure to racism and discrimination that affects generations,” said De Maio. The study, “Racial/ethnic minority segregation and low birth weight in five North American cities” will be published in a forthcoming issue of “Ethnicity & Health” and is now available online at http://bit.ly/CCHE_LBW2. As next steps, researchers may map assets and disadvantages at a community level, to discover why some neighborhoods fared better than others. 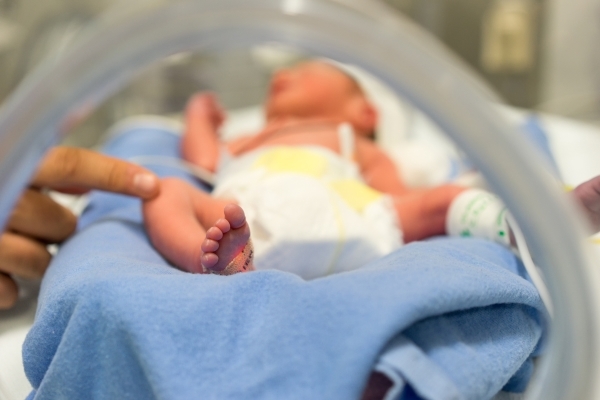 “We know that low birth weight is a significant problem in all of these U.S. cities and there are significant inequities running along racial and ethnic grounds. It particularly affects African-American mothers, and we know that it’s avoidable and could be different. The message underneath that is it’s not about educating people, it’s not about something they’re doing. It’s that society is set up in a way that hurts them,” said De Maio. For more information about the Center for Community Health Equity, visit https://www.healthequitychicago.org.